Why do we eat what we eat? Eating is a universal activity that is instinctive and fundamental to existence. While eating is certainly one of life’s greatest joys, what we eat is often determined by several factors like availability of food, cultural norms, ecology, occupation, economic situation, geographic location, personal preferences, religious checks, and spiritual practices. 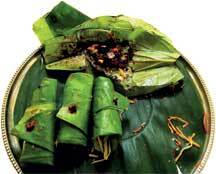 Traditional food habits are often determined by beliefs and practices prevalent in a region or community. Food popular in one society and culture may be a culinary peccadillo in another. One end of the food spectrum has communities eating frugal and simple meals while the other end is beefed up – literally and figuratively. The human being is the only living being that is capable of getting bored. It is our boredom with the same food, day in and day out, that makes us experiment and push the boundaries for the new and untried. In doing so, we have developed a complex relationship with food, ranging from the moral and spiritual to ascetic and sometimes, barbaric. Our relationship with food defines our relationship with life and the entire cosmos. The food we eat becomes an expression of our personality. In that sense, we are what we eat. The food history of any region is closely interlinked with its political and cultural history. In ancient times, the food was very basic – comprising of raw grain, pulses, fruits, honey, and vegetables. The cooking of food was probably discovered soon after learnt how to make and found that food was more palatable when fire and water made it tender. As civilizations grew, there were invaders and travellers who influenced food habits by exposing others to the food of their region, carried mainly to rejuvenate battle-weary bodies and satiate their longing for the food of their homeland. 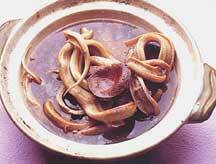 With the invasion by the Mughals, Indians adopted the Mughlai way of slow cooking or dum, as their own. 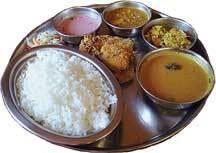 The Portuguese wielded their influence on the Indian platter, as is evident in present-day Goan food. So did the Persians and Turks. Asafetida, obtained from a plant native to Central Asia, was popular in India since ancient times. Its medicinal value has been mentioned in Ayurveda. Known as the food of the Gods, it is essential in South Indian cooking, where it is used as a substitute for onion, because of its unique aroma and flavour. European communities, however, find its smell revolting. Medieval gastronomy paid a lot of attention to the basic elemental nature of the food and the characteristics it transmitted to the consumer. The cooks were trained to combine foods carefully to ensure a balance of the elements. Similar care is given to food preparation, by Hindus and Jains, in the many ahaara niyamaas they follow. Hindu scriptures categorize food into sattvic, rajasic, and tamasic. Stale, rotten food and alcohol are tamasic, overly spicy food is rajasic. Freshly cooked food, fruits, nuts, and vegetables make a sattvic diet that aids the development of the higher consciousness. Brahmins are supposed to cook their own food after finishing the morning ablutions, bathing, and fetching of water. This madi achaara (traditional practices of cleansing and purifi cation) appears rather eccentric now, but it was Considered important so as to avoid the defilement of food. This niyama existed not just for reasons of personal hygiene but also to ensure the mental hygiene of the cook. The thought energies of the cook are said to get transmitted into the food and if the cook is disturbed or angry while cooking, those energies will become part of the food. Hence, food was generally cooked by family members ensuring that special thought was given to the nutrition and taste of the food. Vegetarianism is gaining ground again because new age spiritual gurus tell us the food we eat affects the mind. According to the Hindu varna system, Brahmins (or knowledge workers) are not to eat meat as it is said to increase impurities and toxins in the body, thus interfering with intellect. For a tranquil mind, Brahmins also avoid foods like onion and garlic on a daily basis. Kshatriyas are permitted to eat meat as they are considered warriors by profession and need the extra nourishment that meat provides. Jains avoid root vegetables like potatoes, carrots, and beets for fear of harming any tiny living organism while harvesting. Food habits are also formed by taking their medicinal value into consideration. People living in very hot lands eat foods that are cooling for the body. In the Deccan region, where tropical weather is the norm, the common man keeps sunstroke at bay by fermenting rice congee overnight in a mudpot and eating it with leftover rice and salt. Curd is a natural digestive and coolant and every south Indian meal is topped off with it. To cure colds and open up the sinuses, a hot spicy powder of black pepper, cumin seeds, and chilies is eaten with hot rice and ghee. A sumptuous meal in India is incomplete without the paan – betel leaves have digestive properties and satiate and cleanse the palate. Sometimes poverty drives man to eat unusual stuff. In some parts of North India swarms of locusts attack and destroy entire standing crops. 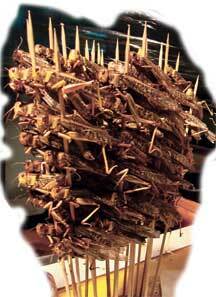 In such extreme situations, the farmer’s family is forced to gather and eat locusts. This is also a practice- perhaps for the same reason- in some parts of Africa. Religion and beliefs have a large role to play in the foods eaten or considered edible. Jews prohibit the eating of pork. This was probably introduced in ancient times to eliminate the pork tapeworm that can live in the intestines for years and cause emaciation. The primitive habit of eating raw flesh probably created health problems. Even 2,000 years after, when it is possible to eat pork safely, Jews still do not eat pork. Muslims share this view about pork. Cows are venerated by Hindus and are hence taboo food for Hindus, but some communities in Kerala are an exception. Many cultures have strong views about the consumption of milk or milk products. Sometimes abundance and availability of food may overrule religious sentiment as in the case of Bengal. It is acceptable for Bengali brahmins to eat fish. Sometimes, it is simply the desire for better food that causes man to experiment with food and ways of cooking it. In Andhra for example, chicken is cooked in bamboo sticks, which are burnt over coal fire till the meat inside becomes tender. This lends a delicious woody flavour to the chicken and this dish is eaten with relish. Tribals in Chhattisgarh brew liquor from the Mahua flower. There’s a snake in my soup! Across the world there are communities that consume food that may not be for the faint of heart. A spread of snake soup, eyes of newt, frog’s legs and boiled silkworms may not be a Halloween special but a regular feast in some communities. I believe a snake in your soup can keep you healthy through a Chinese winter. Maggot infested cheese is a traditional delicacy in Sardinia, the second largest island in Mediterranean Sea. Escamoles are insect caviar for the Mexicans and consist of larvae of ants harvested from the roots of agave plant in Mexico. Reasons for such peculiar preferences could be health related. The origin of such gastronomic traditions would make an interesting thesis in cultural anthropology. Closer home, tribes in Bastar also seek out ants. Red ant chutney is a delicacy there. And dog lovers don’t live just in China and the Far East, they are closer home. In Nagaland, dog pulao is relished by locals. Isn’t this proof of the geographic influence of neighbouring China and the fact that food tastes know no boundaries? Similarly, bamboo shoots are very popular in Meghalaya just as they are in Chinese cuisine. This points to the ecological factor contributing to the formation of a food habit. Bamboo grows abundantly in that region and so people whether Indian or Chinese have found it a nourishing and delicious food source. Many communities relish the flesh of monkeys, snakes, dogs and rats. Rotten eggs are served up as ‘Century eggs’ in China. Tibetans drink yak blood. And in Africa, some tribes draw blood from a vein in the neck of a cow and drink it fresh or mixed with milk as they considered this to be very nourishing. What about the French? Where do they get their joie de vivre from? The dining table is one place, they say. The French are believed to have a weakness for horse meet and snails. Peculiarities in food habits of different communities have added to the richness and diversity of the world. With the arrival of the global village, there are many cross cultural exchanges and blending of food habits, which is perhaps a good thing. However, globalization can sound the death knell of many traditional cuisines. Fast food, ready-meals, and takeout meals are gaining popularity. The spread of KFC and McDonalds has resulted in the Americanization of our diets and if we are not careful, one or two generations down the line the rich variety of traditional cuisines may be replaced by the dull, all pervading greyness of the branded cuisines. The trick then, perhaps, is to indulge our eccentricities and yet do some enlightened eating. The author is a freelance writer based in Hyderabad. She can be reached at sujata117@yahoo.co.uk..